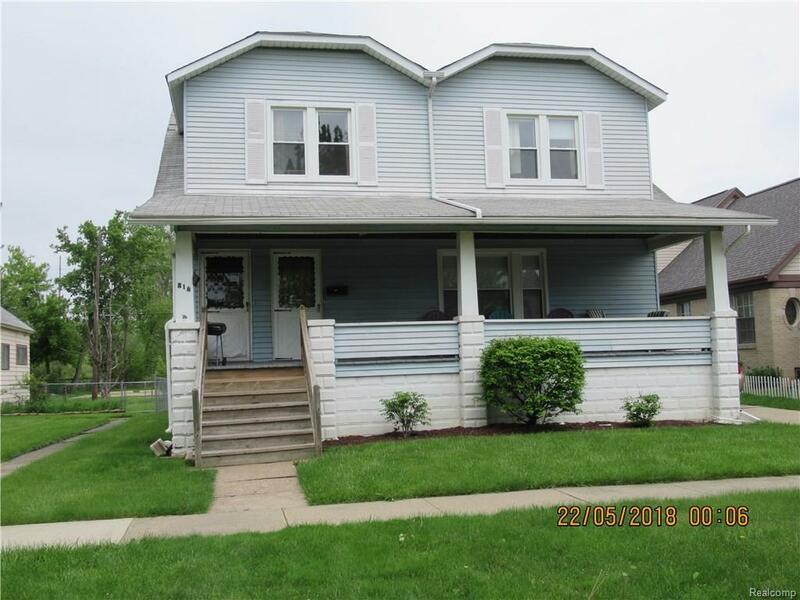 Investment opportunity with most long-term tenants. Home at 816 Orange features two units (lower/upper) with two bedrooms, bath, kitchen, living room and dining room in each. Also included above the garage in back is 810 Orange with two upper efficiency units, one bedroom each and paved parking area. Wallside windows 9 years, roof 10 years (816), 12 years (efficiency units); furnace 15 years (efficiency units). Heat, yard maintenance and snow removal included in rent; electric also included in efficiency units only. Seller has C of O. Property available for showings Tuesdays and Saturdays 2-4, Thursdays 5-7. Please schedule through Showingtime.